Welcome to my latest language learning update through #clearthelist. Clear the List is a support and accountability blog group sharing monthly language learning goals. I have got LOTS OF GOALS this months, so let's get going. First of all: I went to Wales! My big April goal was Book a day in Wales: SMASH SUCCESS PARTY, I went and attended a 2 day Easter Course in Wales in early April. You may have heard about it on the podcast I recorded there, which I was so happy with. The course I attended was awesome, so great to spend 2 days in the classroom with others who are also at my level in the language. Talking of level, I have more good news. I chose to sign up for the course at intermediate level (“Canolradd” or roughly B1). I was not convinced, thinking I’m actually a little lower. But having taken a short self-assessment test, I figured I might as well be ambitious and downgrade if necessary. Turns out, I didn’t have to downgrade. After 2.5 years of self-study I now know B1 level Welsh! This is so exciting, because I’ve never 100% self-studied a language to this level before. I still enjoy learning the Welsh language so much, and have a long way to go. If you’re also a self-studier, see if there’s a top-up course like this available in your target language. They are great fun, and the tutor knew exactly which parts learners at our level are struggling with the most. I am currently working on a new German course. A lot of my working time was spent working with this story and creating resources for our students. German Uncovered in collaboration with Olly Richards from I Will Teach You a Language, and we're coming close to opening the course for the first time. On the podcast, there were some great episodes during April, but the most exciting one has to be the episode Welsh is Not English. I had never tried this “radio documentary” style of editing and was so proud of the result. Give the show a listen and subscribe for more episodes if you like it. The Fluent Show is now available on even more platforms including Spotify and TuneIn Radio. Welsh has 50 ways of saying yes or no. I can correctly use about 1.5 of them. Sigh. How Did It Go With My April Goals? Have 3 natural conversations with my tutor/exchange partner and listen carefully: Ohh gosh, oh my, I missed the one session I’d booked and never even rescheduled. So that’s 0 out of 3. However, I had conversations in Welsh while travelling there. I actually tried to use Welsh in 3 or 4 shops and restaurants, and couldn’t find any server who actually knew the language. So my conversations were with enthusiasts, i.e. all the people you heard on the podcast. Thank you so much to Gavin and Steffan, Morfydd and Janet, for speaking Welsh to me. Practice Welsh listening by playing with no-subtitle TV, and reviewing the Pigion podcast vocab before I listen: I didn’t watch any good TV, I need to stop even setting this goal as it’s just not what I get up to right now. But I listened to 2 Pigions and made good use of the vocab supplied with the show. Write a longer Welsh poem and continue playing around with different poetry formats: I managed one longer poem, but it was supremely nonsensical. Well, better than nothing, right? Finish my easy reader novel and read all of the latest Lingo Newydd magazine Yep! I finished Bywyd Blodwen Jones, my first ever book in Welsh! Also did well with the magazine, which continues to be such a joy in my house. Great to add a bit of Welsh over breakfast. In April, I logged 19 days of contact with the Welsh language. My most used language apps were ApGeiriaduron, Duolingo, SmartCards+, and Clozemaster. Followed by Instagram and Twitter. Sometimes there’s nothing special or grand to be aiming for, and those are the hardest times to keep going. It feels like “another month of the same”, without that fizzy excitement of a fixed goal. I find that my goals get more exciting when I share them with others, and when I join a group. So it’s time to search for accomplices. They’re also more exciting when they are a challenge, so I made sure to include challenging things in the Speaking and Writing sections for May. Complete at least 2 intensive listens to the Pigion podcast This podcast publishes a vocab list for each show, so intensive means I’ll read through the vocab, add some words to my lists, and then listen until I feel like I’ve understood 75%. This is natural, full speed, native content. No shame in not understanding it all. 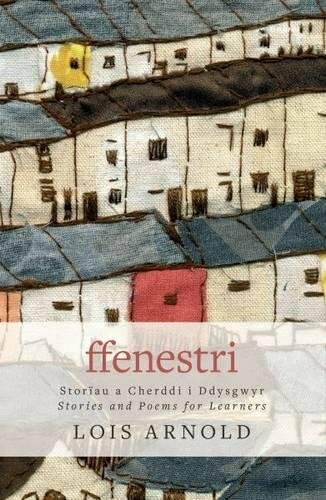 Start reading Ffenestri or Sgwp I bought two books for learners when I was in Wales, and then I got stuck because I can’t decide which one to start with. Goal: Pick one and just bloody start. Have at least 6 (!) short conversations in Welsh only This month I’m aiming to increase the frequency, not the length of my exchanges. I’ll take any opportunity from tutor sessions, friends, exchanges, and group chats using the Say Something in Welsh Slack group. By short, I mean 15 minutes (but you may make your own definition of “short”). Look for a book club I mentioned new books above, and I am going to hit the forums at Saysomethingin and social media to see if anyone would like to have a book club meeting to chat about what we’re reading. Write 2 language poems, and more considered ones. I have proven that I can write wacky, slightly nonsensical poetry in the Welsh language. Note to self: I need to start getting organised and booking my accommodation for the National Eisteddfod in Cardiff nice and early. I'm planning to volunteer again this year, which means a chance to speak and hear lots of Welsh. I don’t have any goals in a language other than Welsh, but I do have something special and linguistic. to work on. I am reading several books that will help me with my general understanding and appreciation of language, and the English language in particular. The first one is Getting Through by Roger Kreuz and Richard Roberts, a sequel to their book Becoming Fluent, which I LOVED and reviewed here on the blog (read the review). There are two poetry books, too: Lifesaving Poems by Anthony Wilson,Collected Poems by Carol Ann Duffy. I’m also interested in finding more great French, German, and Spanish poetry. Great way to discover new worlds in my existing languages! Is there anything you’re curious about? What did you learn in April? Leave a comment below or join #clearthelist to share your own language learning journey. If you want to join the linkup for the month, hop on to Clear The List, hosted by my friends and language inspirations Lindsay Williams and Shannon Kennedy.